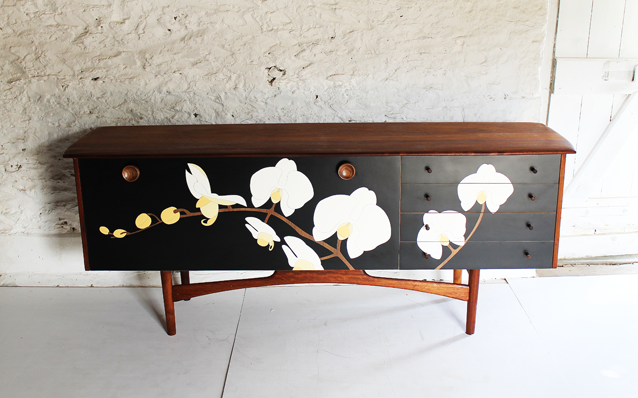 This original 1960’s unusual sideboard with a solid Afromosa dark teak top and sides has been given an orchid design using a unique modern marquetry technique. 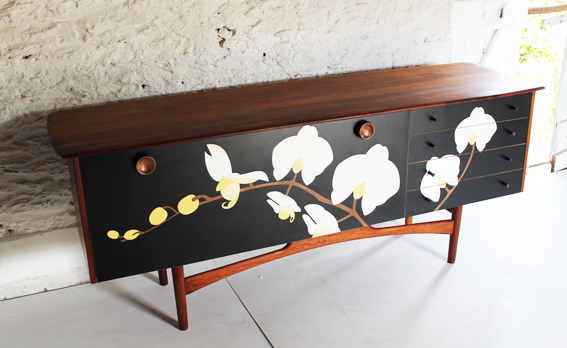 Black formica laminate is laser cut and inlaid with the orchid design using teak formica as the stem. 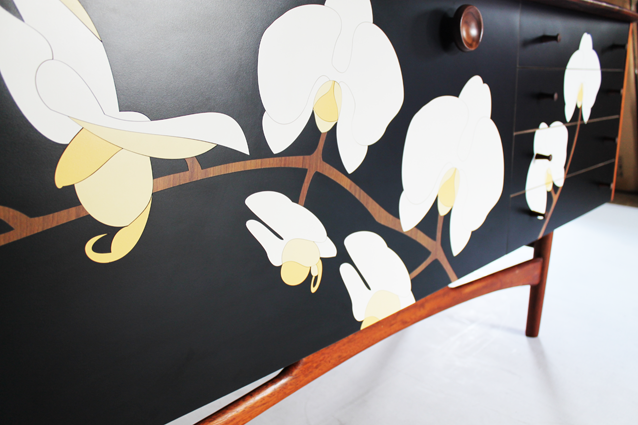 White, pale gold and levante formica is cut and inlayed for the flower . The design spans across the whole front of the sideboard. 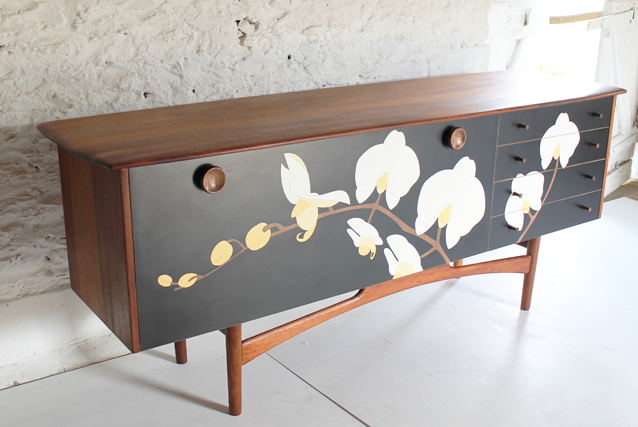 The sideboard comprises of a drop down door with a shelf inside. To the right it has 4 drawers with solid teak handles. The top and sides are solid wood and have been fully restored and treated with an ‘osmo’ finish for durability. 193 cm x 53 cm x 78cm high. Please contact lucy@lucyturner.co if you would like to purchase this item.